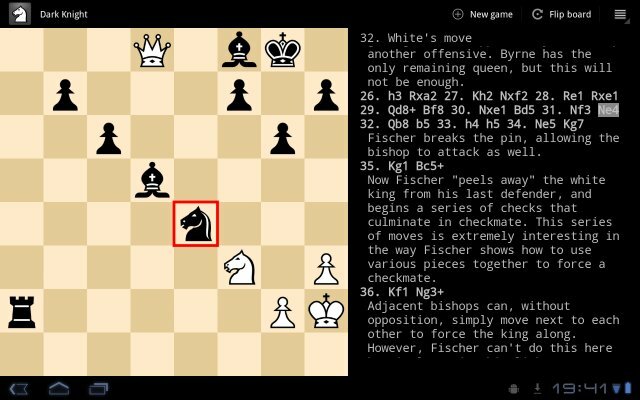 Dark Knight is an Android chess application specifically designed for Honeycomb tablets. It is based on DroidFish and the Stockfish engine, and includes several additions such as Bluetooth play and difficulty selection. Thank you and please link to stockfish for android ?